Listening to the expression “palliative care” is, for most of the population, a synonym of death. The concept, to which patients, families and doctors give increasing importance, is nevertheless associated with that moment in which the interventions for a disease cease to be curative and become just that, palliative, destined to avoid suffering. But not all cancer specialists – one of the diseases in which palliative care is most used – see the situation that way. The European Society of Medical Oncology (ESMO) awarded at its last annual congress a Spanish hospital for, among other reasons, its practical assistance in palliative care. The lucky one is the OncoHealth Institute, the Oncology Institute of the Jiménez Díaz Foundation -from the Quirónsalud group- that groups all the specialties involved in the cancer management of said hospital and three more: the King Juan Carlos University Hospital, the Infanta Elena and the General of Villalba. 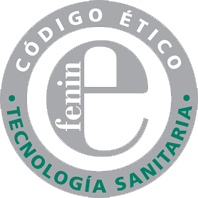 It is the only Spanish center awarded this year, although other hospitals in our country have obtained the distinction in previous editions.